What does Japan has for sale tonight?? A Toyota Mark 2! Oh!! A Toyota Mark 2!!! You know you want it as a daily driver huh?? You know you do!! 26 hours left for the auction. 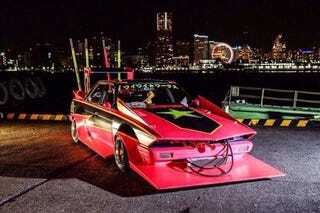 The “car” is for now around 4500$... Bosozoku GTW!